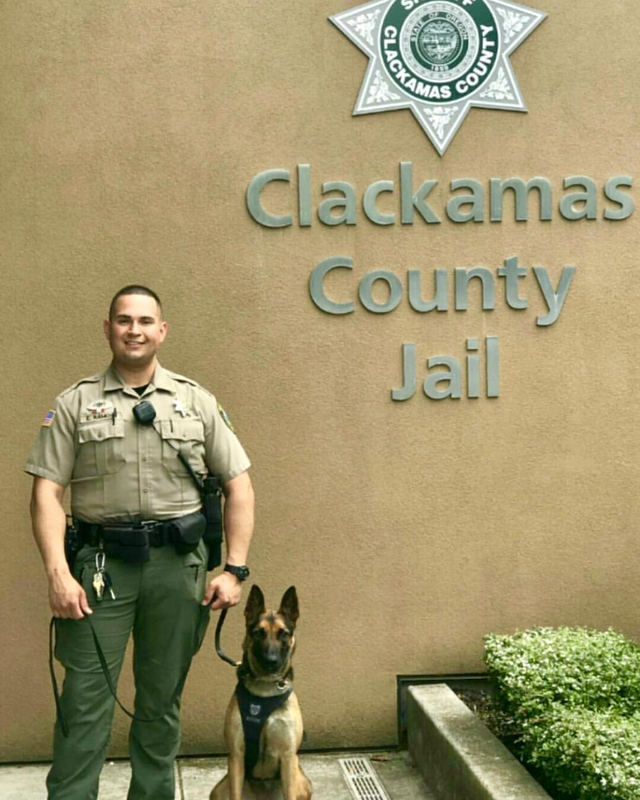 Posted: Wedensday, August 8, 2018, 11:49 a.m.
A donated Narcan kit for K9s came in handy after a Sheriff's Office drug-detection dog ran afoul of some contraband heroin in the Clackamas County Jail. 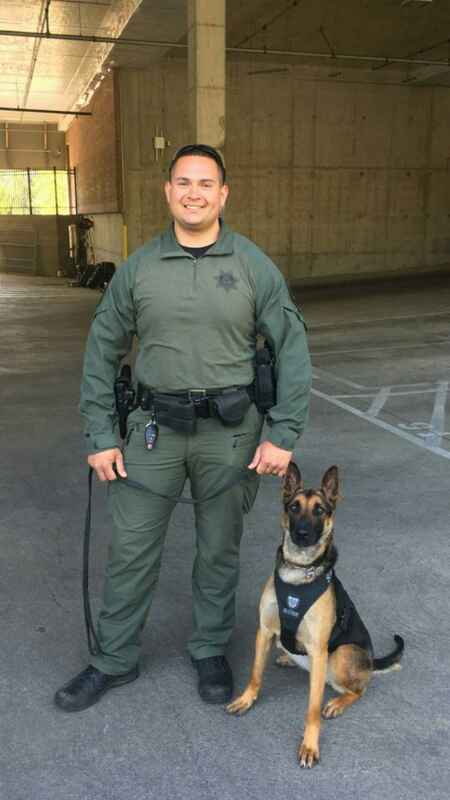 At approximately 7:30 p.m. on Tuesday, Aug. 7, K9 Abbie and handler Deputy Eliseo Ramos were conducting a routine search for contraband in the E block at Clackamas County Jail. The dog alerted on smuggled heroin on top of a hygiene container under a table. During the search the container spilled over -- and Abbie was exposed to the heroin. Abbie began exhibiting signs of drug exposure, including excessive saliva, rapid head shaking and rapid blinking. The Narcan dosage successfully stabilized Abbie, and she was transported to VCA Animal Hospital on SE 82nd Ave. for treatment. She was held for observation overnight and released this morning. 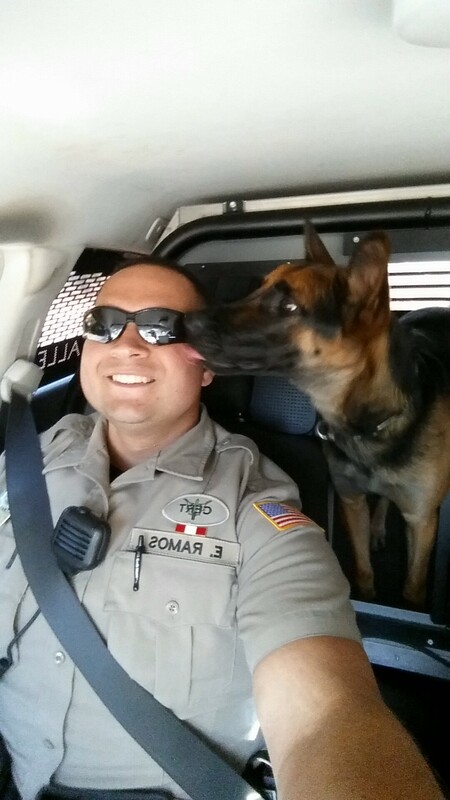 Photos of K9 Abbie with her handler, in the hospital, and just after this morning's release are attached.